Announcing the Final Dirty Tour! 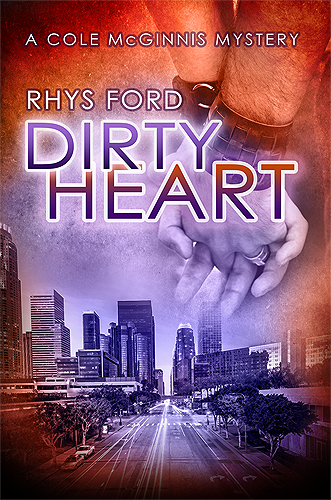 Only a few more days (okay less than seven) until Dirty Heart, the final book in the Cole McGinnis series, is released and it is with a bittersweet joy, I say farewell to Cole, Jae, Bobby, Ichi, Claudi, Mike, Scarlet and everyone else. A lot of things have happened since I’ve started this series. I got to meet a lot of wonderufl readers who came along for the ride and sadly, said farewell to Neko’s namesake this past year. My own little black furry diva will be sorely missed but I am delighted to have shared her with all of you… as I have Cole and his misadventures. So for the final Dirty tour, I will present short scenes from Jae’s POV. Many are from instances in the books and a couple are in-betweens but I tried to find places where Jae really needed to speak. I hope you enjoy them. And a tour cannot be a tour without a giveaway! So…. here’s what’s happening at the blogs! Leave a comment or Rafflecopter entry (or however the blog wants to run the giveaway) and be entered to win a $20 gift certificate from an e-tailer of your choice BUT that is not all. From these winners, I will randomly select ONE person to be a character in my other Los Angeles series, Murder and Mayhem. So hit up every blog, enter to win! ONE winner per blog for the certificate, one grand prize winner chosen from those winners! The tour will hit these blogs on the specified date and I’ll update as it goes along. Good luck and most of all, thank you. Truly. It’s sad knowing it’s ending but at least we’ll get answers to questions left from the other books. I’m looking forward to reading Jae’s perpective too. Heh… Oh we’re gonna have fun with Rook and Dante. I have plans for them too. I’ll miss the guys but all good things must come to an end, I guess. I am really looking forward to reading this book – but I am also sad about it since it means the end of the series. Can’t wait! It sounds soo good. I just preordered. Yay! So good, so great, so excited! All the characters in the “Dirty universe” (heh), feel so real to me because you made them that way *on* page and Greg made them leap *off* the page. So much love for this series. Thank you so much for giving me all these characters to love.